If you thought pastels were reserved for spring, think again. You might typically associate the candy-colored palette with the likes of Easter eggs, but lately, we’re starting to see it on every fashion girl for fall—specifically in the form of pastel sweaters. Truth be told, we can’t get enough of it either. Don’t get us wrong; we love wearing sweaters in every shade, but there’s something about sporting the paler hues that gives our fall wardrobes a refreshing update for 2018. Rather than sticking to our standard neutral hues and jewel tones or venturing into bright and vibrant colors, pastels make our knitwear pieces look just about as soft as they feel. Plus, due to their traditional association with all things spring, summer weddings, and scarring childhood outfits, these sweaters will act as the surprise heroes of the season. Add them into the mix of a more tonal ensemble for a head-to-toe colorful look, or wear them with any of your timeless fall staples. 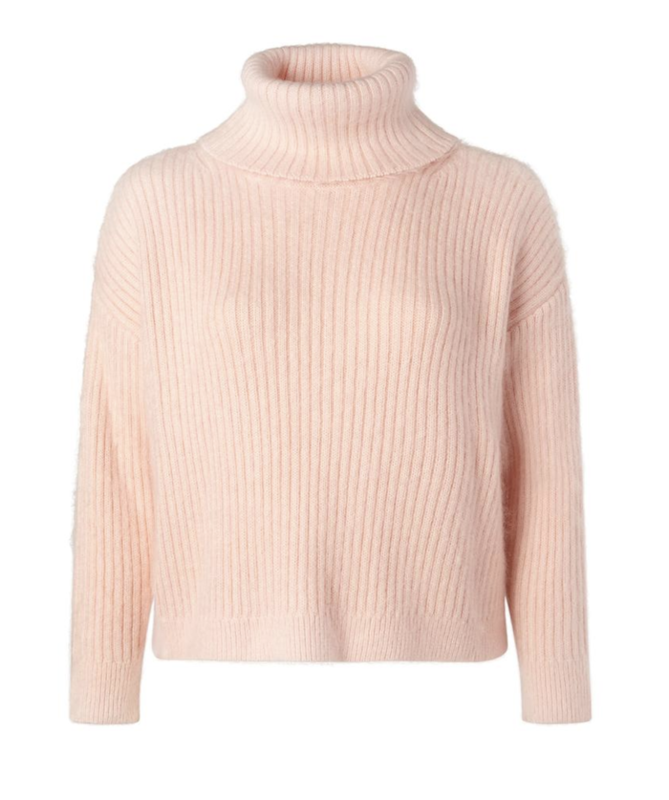 Whichever way you choose to style your pastel sweaters this fall, you’ll be left with an outfit worth complimenting. Who wouldn't want a baby-blue sweater? You'll be surprised how versatile this pale yellow sweater can be. Hoodie, but make it fashion. Let this be the hero of your fall outfits. We love a good mohair sweater. A cable-knit sweater looks even better in pastel. Of course Tibi makes a polo-inspired sweater. Wear this every day this fall. Wear this with a mint skirt for a stylish monochrome outfit. A cropped sweater will be perfect for creative fall layering. Now, check out the other colors that are going to be huge this fall.